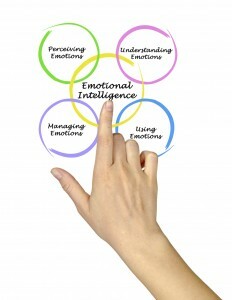 Today we’re talking about emotional intelligence. We experience a range of emotions on any given day. In the moment, we have three behavioral options to manage emotions: express, compress, or misconstrue. Emotions are critical to our overall well-being. [Emotions] give us information we can use to better understand our needs, priorities, and limits. Emotions help us set boundaries and make decisions. Few of us are socialized to be comfortable expressing what we truly feel. Many of us are conditioned to believe expressing certain emotions are a sign of weakness, fear our emotions, or perhaps consider our emotions less worthy as compared to the feelings of others. An ability to understand, navigate, and ultimately express our emotions help us navigate the world more effectively, live more healthily, and enhance the quality of relationships. When an emotionally-provoking situation occurs that is not addressed, those feelings are often thought to be buried and forgotten. That situation is a precedent to many other situations, then another, and another. Over time, a feeling that began in a mild state can escalate to stronger feelings that stimulate behaviors. These behaviors present as anger, fear, angst, and/or sadness. Have you ever displaced anger that should have been directed toward another person or situation? Of course, we all have. Importantly these reactions can be managed appropriately if we learn to recognize, evaluate, and express our emotions. 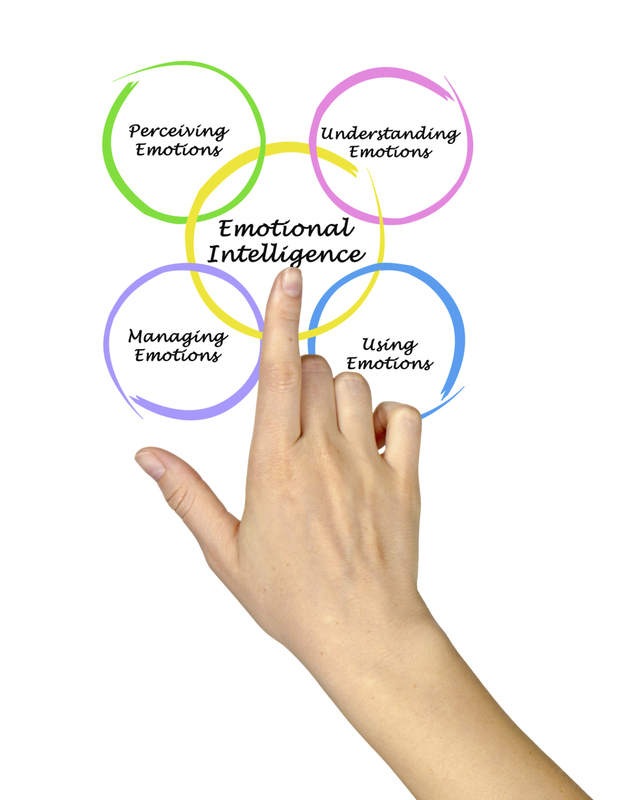 It is ambitious to believe we can acquire emotional intelligence through this venue, however, the process can begin here. 1. Pause to label your internal feeling or emotion. 2. If the label is [negative, such as] ‘anger’ [breathe and] calm down before you [react or] start talking. [Reflect to find a] vulnerable [label] for the feeling[that is the root cause of the anger], such as “sad” or “scared.” Labels [that convey] the vulnerable feeling that lies under anger optimizes the likelihood you will be heard without defensiveness. Keep your voice calm as an angry voice [will likely evoke] an angry voice in return. 4. Explain the source of [your] feeling. scared.’ By beginning with ‘When you…’ and continuing with ‘My concern was…’ you will be on the road to mutual understanding. 1. You make me feel… comes across as an accusation. It projects a statement of blame, not a statement reflecting how you feel. 2. You make me feel… is disempowering. When you put the responsibility of your feelings on your listener, you give away the power to fix your negative feelings. 3. You make me feel… invites counter-accusations. Through that accusation: You are doing something bad to me, the listener tunes into the accusation and tunes out the concerns. 4. You make me feel… is based on a misunderstanding about what triggers feelings. Typically, it is not one person’s [one action] alone who makes another feel something. 5. You make me feel… focuses on the person. Taking the focus off the person creates a responsibility [for an action that caused the ill feelings]. Emotional intelligence requires patience and an understanding that we all affect how others feel. Carry this knowledge with you and apply it the next time you need to effectively communicate your feelings. This entry was posted on Wednesday, June 17th, 2015 at 12:34 pm. Both comments and pings are currently closed.